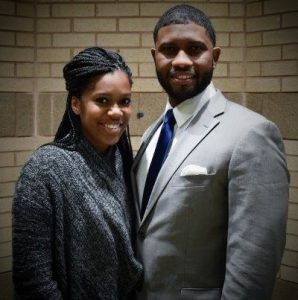 Deacon Eric and Briana serve as Directors of the Living Word Church Ministries YWV Minsitry (Youth With Vision). This ministry serves middle and high school students. The Campbell’s goals are focused on imparting the teachings of Jesus Christ and building the faith of the youth through prayer, events and activities that appeal to youth while encouraging them to be faithful followers of Jesus Christ and the church. Eric & Briana have two favorite Bible verses that they practice daily, Psalm 51 and Philippians 4:13.